I don’t eat much pizza. Not for want of loving it, believe me. I love pizza. Honestly, I know very few people who don’t. Like my kids. They eat a lot of pizza. But pizza leads to heartburn, and tummyaches, and vast regret. I guess that means I have to pretend to be a grown-up and not eat much of it. Well, the traditional kind. Nobody ever said anything about cookie pizza! 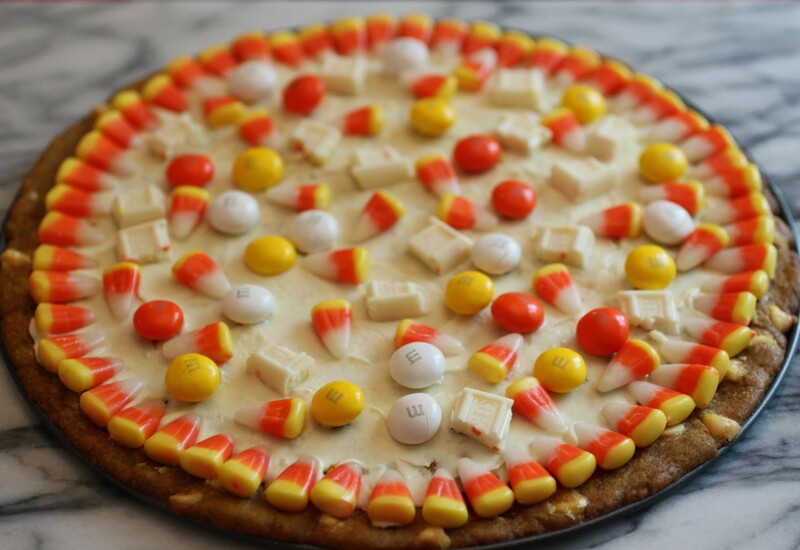 An autumn candy pizza, to be exact. 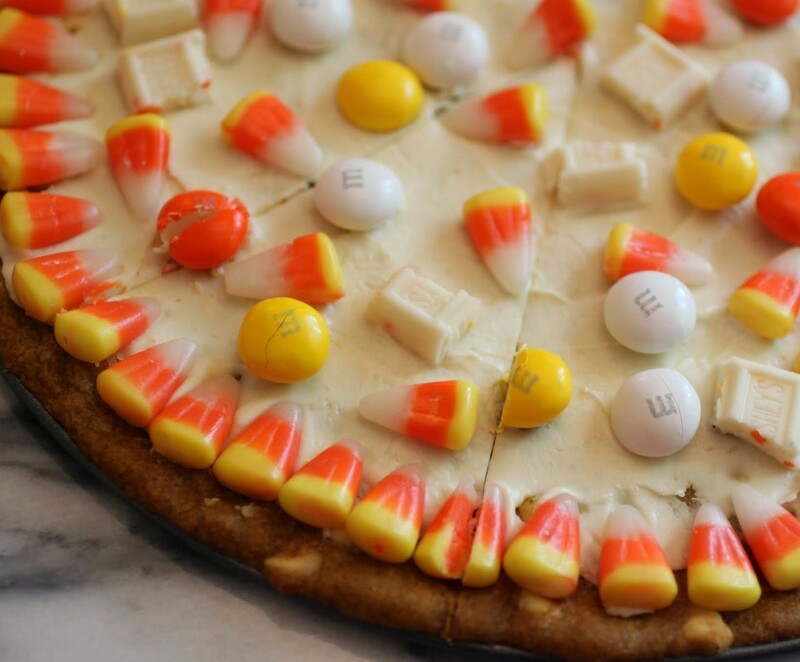 A pumpkin cookie base covered with melted white chocolate, candy corn, white chocolate candy corn M & Ms and Hershey’s limited edition candy corn bars. Say what? They’re making all that? Heck yeah. My candy aisle explorations have yielded a lot of fun lately. I just had to cover my cookie with as much candy as possible. The base is Nestle brand pumpkin cookie dough, which I spread out on the bottom of a spring form pan without using the sides. So it’s a quick recipe and easy to boot, but with a nice impressiveness to it! When I brought this into my office people were way too excited about it. I didn’t bother telling them that it took very little time and effort to assemble. As you know, I’m all about taking full advantage of the wonderful fall products on grocery shelves. 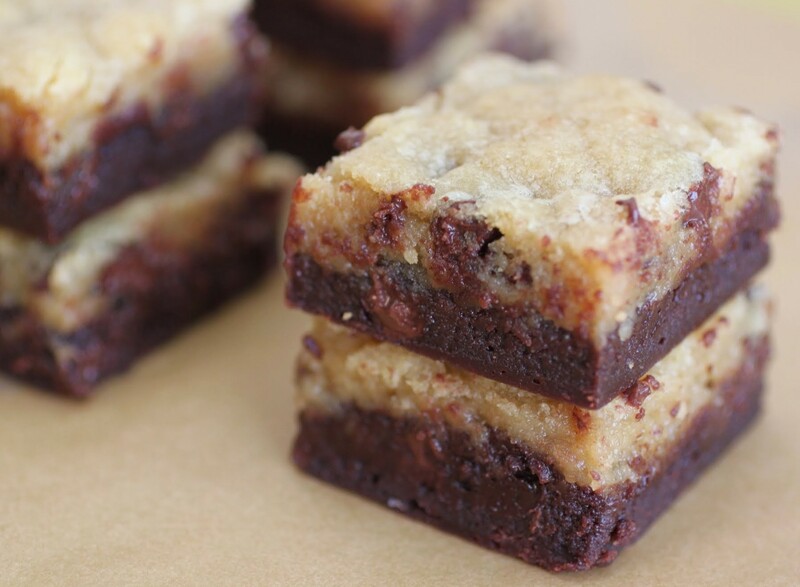 This recipe is a definite winner! 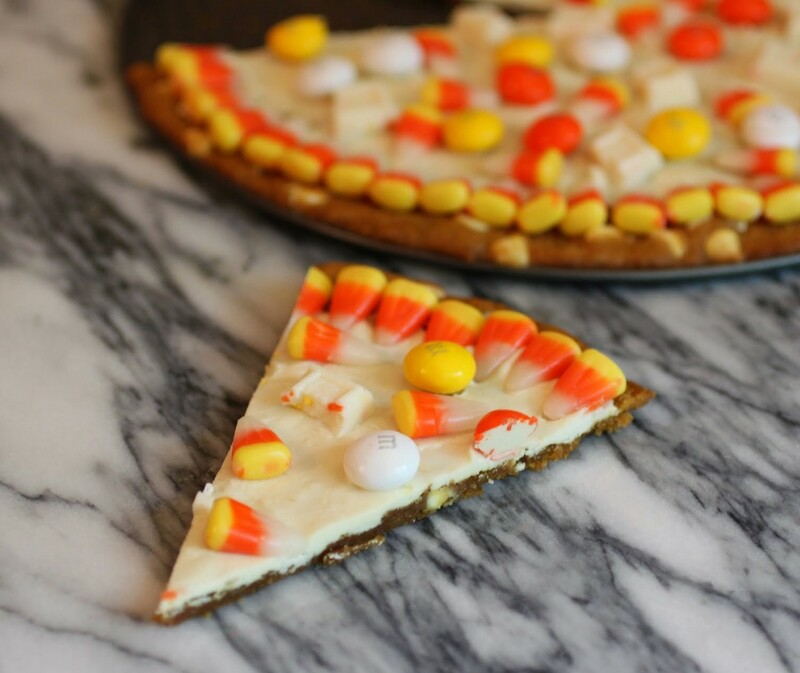 And may I suggest pizza for dinner…and then this pizza for dessert? Preheat the oven to 350. Remove the sides from a spring form pan and spray the bottom with cooking spray. 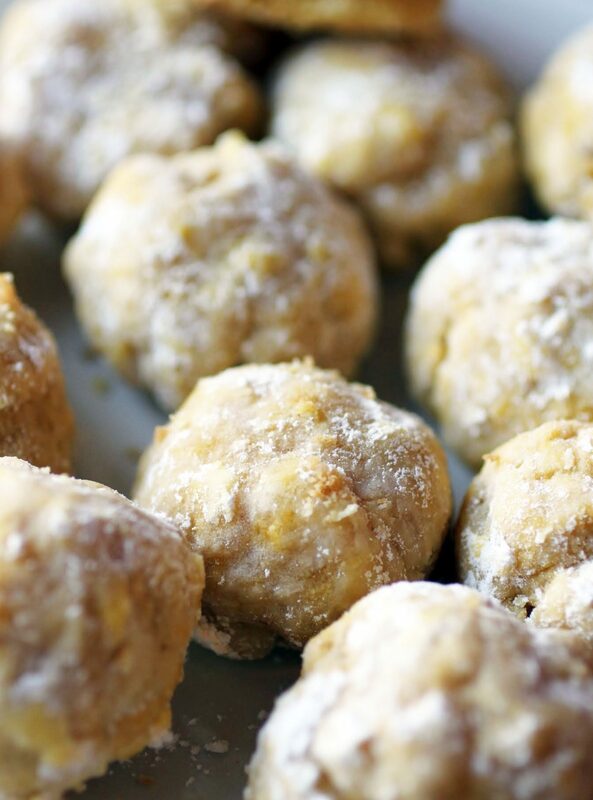 Using your hands, flatten out the pumpkin cookie dough and press onto the pan, creating a thin, even layer. Bake for 15 minutes until the cookie dough is set. Remove from the oven. Immediately, sprinkle the white chips evenly over the hot cookie. Wait 5 minutes. 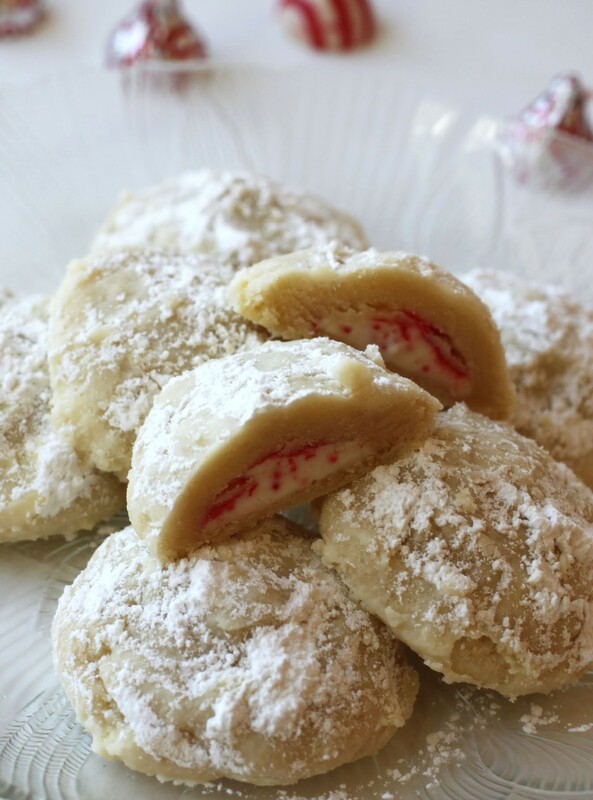 Using a knife, spread the melted white chocolate over the surface of the cookie. Press the candy in a pattern of your choice over the top. You can follow my pattern or be even more artistic! Allow the cookie to cool completely while the chocolate hardens. When everything is set, slice into wedges and serve. Nosebleeds can really interfere with your dignity. I was teaching yesterday when all of my students started giving me this funny look. It took me a second longer to realize that blood was freely gushing out of my nose (I’m a very enthusiastic bleeder). Like the cool teacher I am, I grabbed the tissues and kept on talking about Nick and Gatsby and Daisy. But honestly, with literal blood on my hands, I don’t think I recovered very well. There went that class. I’ll do better next time. Cookie pizzas are the best! Especially with one made with pumpkin cookie dough! I love this fall version! I haven’t seen pumpkin cookie dough in stores, so I’m going to be on the hunt for that this weekend. What a fun and easy dessert, Mir! Thanks, Gayle! It’s totally everywhere right now. I hope you find some! I love pizza! But cookie pizzas are so much better because they’re sugary and delicious. 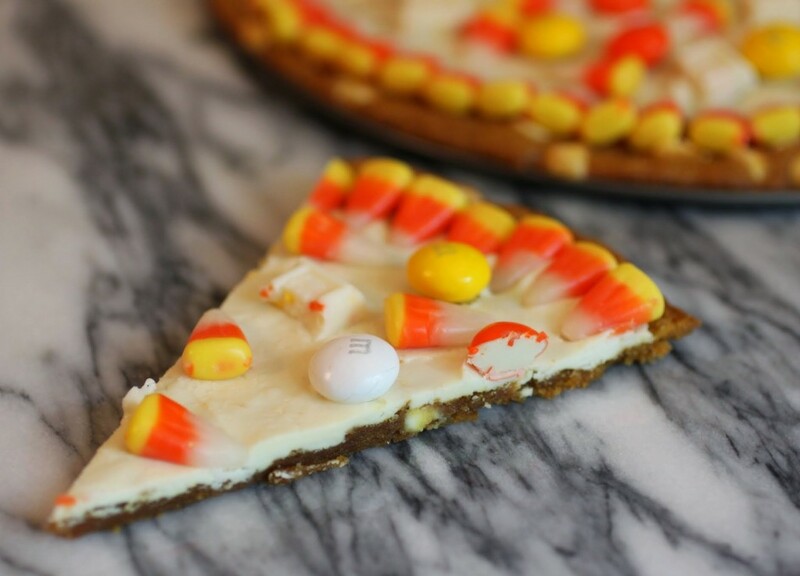 Love all of the ingredients on this one, such a great idea of Halloween or fall! Thanks, Danielle! I do love pizza. But dessert pizza is much better! I have never seen a cookie pizza before. What a fun idea! Yep, I love the fun! Thanks, Dannii! Thanks, Pamela! I have to be very careful about keeping candy corn in the house. It’s impossible not to eat a ton of it! I’m glad, Jocelyn! I feel like most dessert bloggers would rather have the cookie kind!